We burned 501 calories! I literally felt each one of those calories melt away – it was so hot!!!! Thursday is looking to be on the cooler side temperature wise and I am very happy about this. Remember class Thursday will again be at the Hoag Building. We are back to our usual location at Highland starting next week. Thank you all for sticking with the workout – I know it was uncomfortable, to say the least 😉 Remember, any calories burned doing mat work or moves without a lot of actual movement won’t register as burned. Our calorie count is probably closer to 600, give or take, if you are adding those in. Just a reminder! Class is being held at the Hoag Building again tonight at 7:15. We will be there this week and then move back to Highland next week…. Hope to see you all later!!! This is a fantastic article from Oxygen Magazine’s website that goes over the importance of exercise in all stages of life. It is never too late or too early to begin your quest to better your health and the overall quality of your life. It is a quick read, but a great one. I happened to catch a post by Tosca Reno, it was about her birthday. She is turning 53 and it got me thinking. Living this Oxygen lifestyle changes all the rules about aging. It isn’t just her body, or her skin, it’s everything. I have been told, I look younger at 43 than I did in my 20’s. I never really worked out or understood the importance of eating clean until I was 30, and once I started; these are the changes I’ve noticed. People think they don’t have time to exercise or cook clean meals, but the truth is they don’t have time not to. When you look at all the women over 40 that have graced the cover of Oxygen, you’ll be stunned, Francisca Dennis-mother of 6, Dara Torres, Elaine Goodlad and of course Tosca. I don’t like to compare, but it’s hard not to notice the difference. When I think of women like Francisca, a mother of six, she motivates me and shows me, there is NO EXCUSE! I’m so grateful to have found fitness and to have adopted it as my lifestyle. I shutter to think how unhealthy I would be without it. Some people reduce fitness to a look, and even find comfort thinking it’s all vanity, but the truth is when you take care of yourself from the inside out you gain an inner confidence and self-respect that helps you to continue on this fitness path. What you look like is only a small part of it. May I ask you to consider the fact that you too will age? Don’t you want to do it the way these women have? You are worth the investment. We made it through a very warm class tonight! I don’t know about you, but when I got home I was pretty much spent on energy. That heat can really knock the life outta ya! Be sure to drink a lot of water today as your body will need it in its recovery efforts. You shouldn’t be too sore, but if you are the water will help with that as well. We burned 465 calories, and I am going to say that is probably a pretty accurate estimate for the exercises that we did. You guys all really pushed yourselves and I am super proud of you! I hope you all have a fantastic holiday weekend! Enjoy these gorgeous temperatures!!! I will be teaching the Pilates class located at Frontier Middle School on Amsdell tonight! If you are in need of a makeup class (or just miss me…) come on by! Bring a mat, water, and weights with you to class! Tonight was a hot one but somehow we all managed to get through! We burned 454 calories today, remember that the actual count will be higher, as it does not account for the floor work/strength moves that we did. I will see you all Thursday for a repeat of tonights class. Get ready for the heat – they are predicting temps in the 80s! Drink lots of water before class!!!! Get In Shape Girl… who remembers this?!? Calories burned 5/15 – and REMINDER! We burned a total of 238 calories Tuesday… I warned you that the number would be lower as we focused more on our core and spent less time on cardio. The fact that this was the number recorded does not necessarily mean that this is the number of calories that you actually burned. It is my opinion that you probably burned in the ballpark of 300-400 calories. Class will be held tonight at the Hoag Bldg. at the usual time, 7:15. Directions from Highland Elementary are listed below. Please call text or email me if you have any questions! I will do my best to help in any way I can! Great class tonight! My Fitbit clocked us in at 402 calories burned! Great job you guys! Next week we will be focusing on our core. Have a great weekend all and a special Happy Mother’s Day to all you moms out there! Highland Class Temporary Location Change!!!!! Here is the deal… on the following dates…. 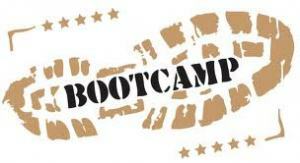 we will move classes (both Zumba and Bootcamp) to the WT Hoag Bldg. This building is located at 42 Sunset, in Angola about 5 Miles down the road. Classes will then move back to Highland for rest of classes in June. I am sorry to you all for the switcharoo… There are many musical concerts scheduled for Highland in May and this was the simplest solution according to the Bodyshaping secretary. The GOOD news, is that rumor has it that the gym in the Hoag Bldg is super nice and CLEAN! Yay!!!! And it is always nice to shake things up a little and get anew perspective during a workout. Email or comment with any questions that you may have for me. I will also address questions you may have during class.